We think you should always have both. Gone are the days when staircases were a purely functional piece of furniture; a no-frills means of getting from A to B. These days, thanks to latest design innovation, creativity and superior materials, the possibilities are pretty much infinite. A glass staircase is a dramatic and show-stopping focal point in any home, creating an airy, spacious feel that makes the most of natural light. ‘At Jarrods, we work with a variety of glass techniques to create a design that suits you and your home,’ says Jarrod. ‘From the traditional to the avant garde, our glass work will transform even the smallest of spaces,’ he says. See how we transformed the Jones’ space with glass, and clever LED lighting. 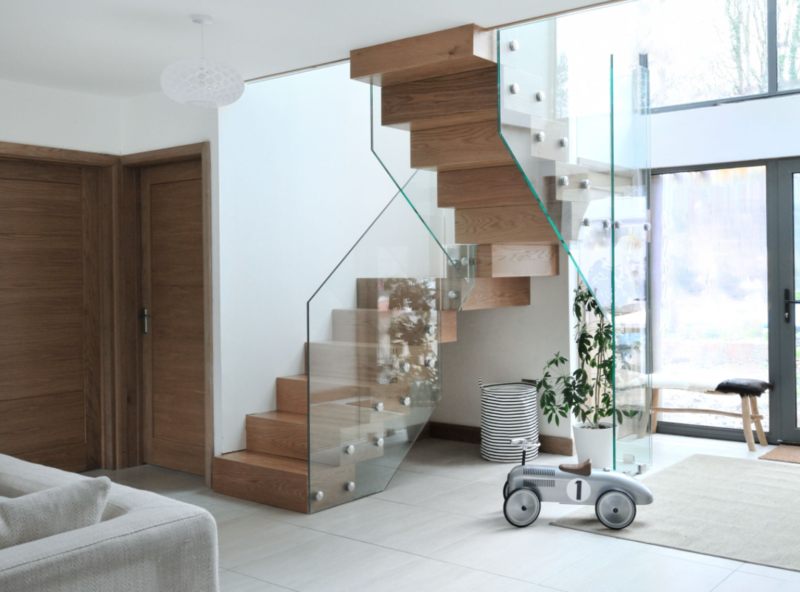 For example, the Jarrods Infinity staircase collection replaces traditional spindles with glass panels to create an alternative, inspiring impression – the perfect blend of modern and traditional. 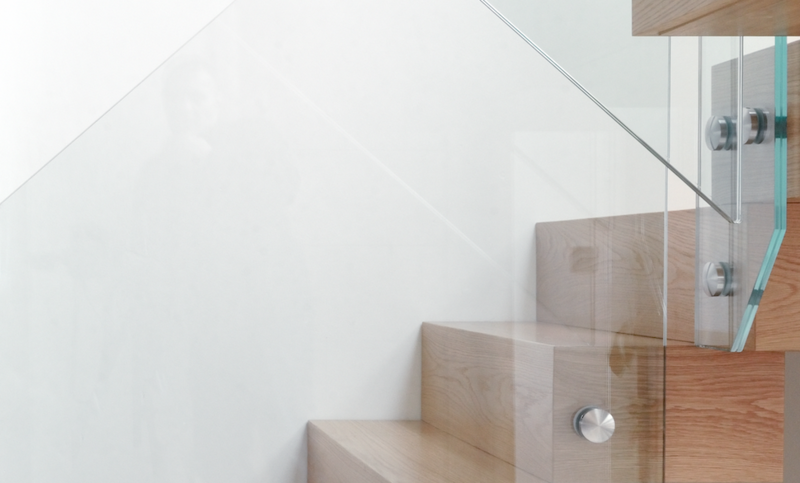 ‘Glass staircases are becoming increasingly popular, especially for clients for whom space is at a premium,’ says Jarrod. ‘Utilising glass enables a staircase to seemingly float from one level to the next, allowing the staircase to become an art form in its own right,’ he says. 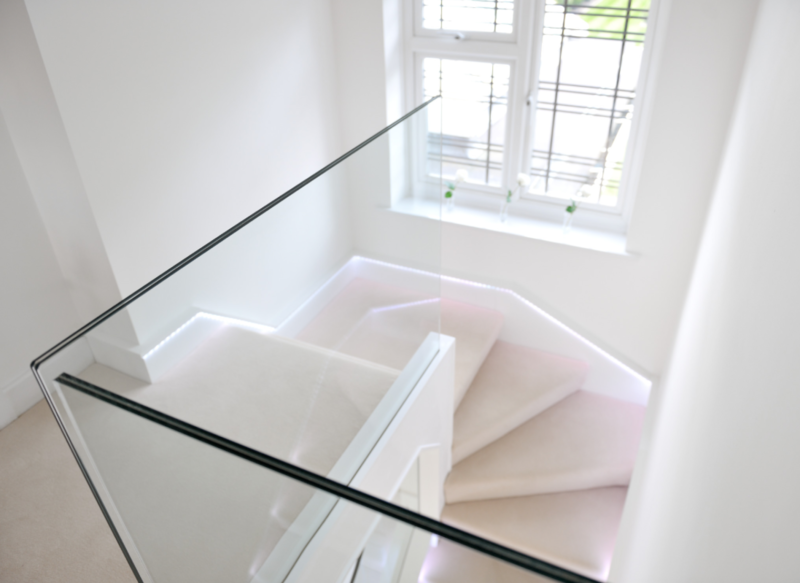 Modern and minimalist, see more images of Mr and Mrs Bakers bespoke glass staircase here. At Jarrods, we consider creating the perfect staircase for any home an art. Each element of the staircase is unique, tailor made to the highest specifications and customised to fit your space.. Flawless design, one made to measure your home, is a priority; but so is safety. ‘At Jarrods, we use only use the toughest glass, which has been finessed and heat-soaked so that it not only meets but exceeds the load-bearing capabilities required by building regulations,’ says Jarrod.